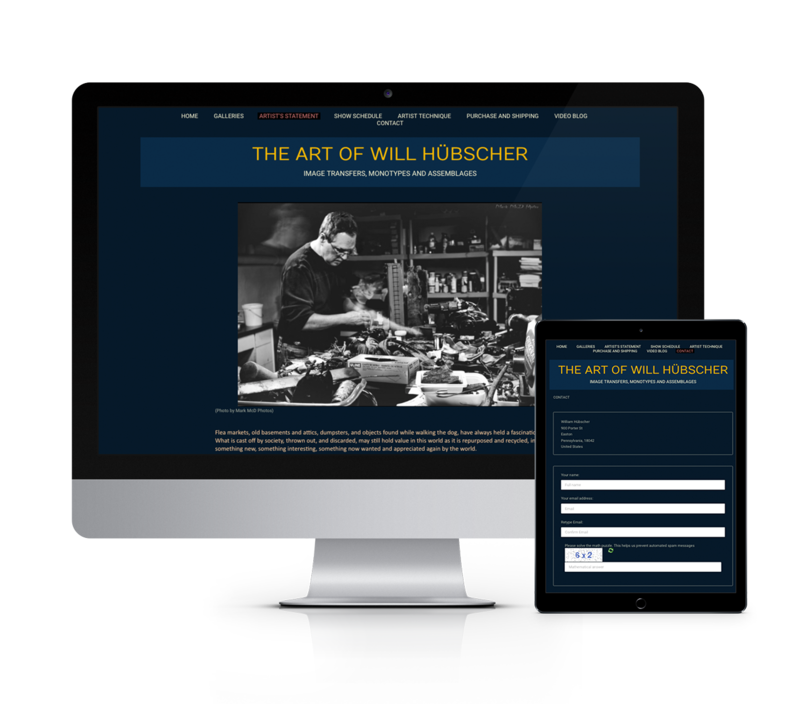 Sell your art online with the Ecommerce suite included at no extra cost. Sell from your artist website + from our online marketplace. 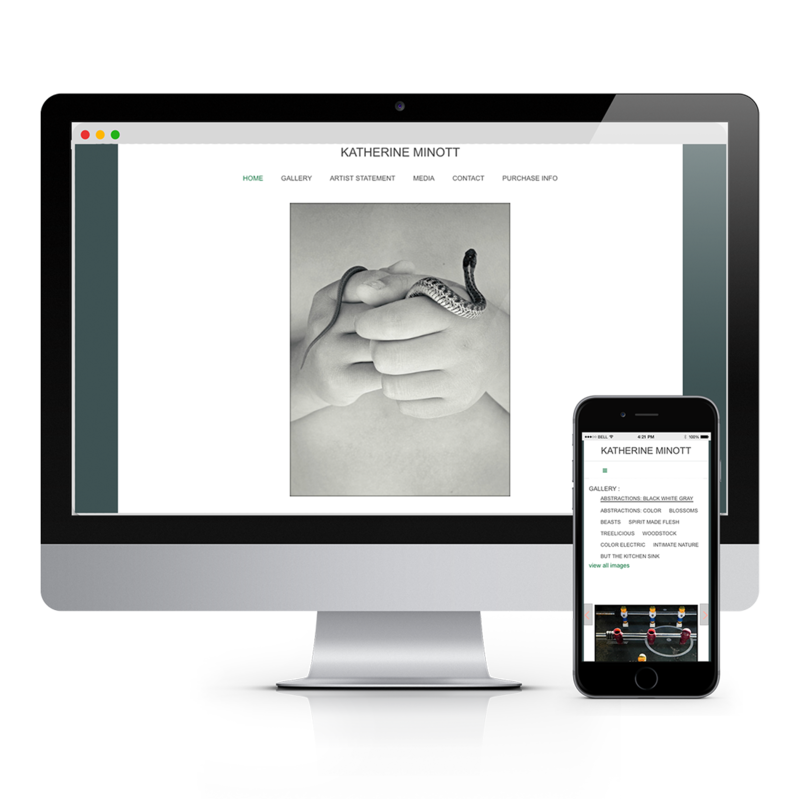 PRZM’s diverse community of artists use their individually-branded artist website to show their portfolios, market their work, and sell art online. We set you up with a template and color scheme, and then you can customize it according to your aesthetic. Below we showcase a few artists’ websites, and demonstrate how individual artists take advantage of our unique suite of design and marketing features to share their vision with the world and sell their art online. Katherine Minott uses a simple template to showcase her unique photography. 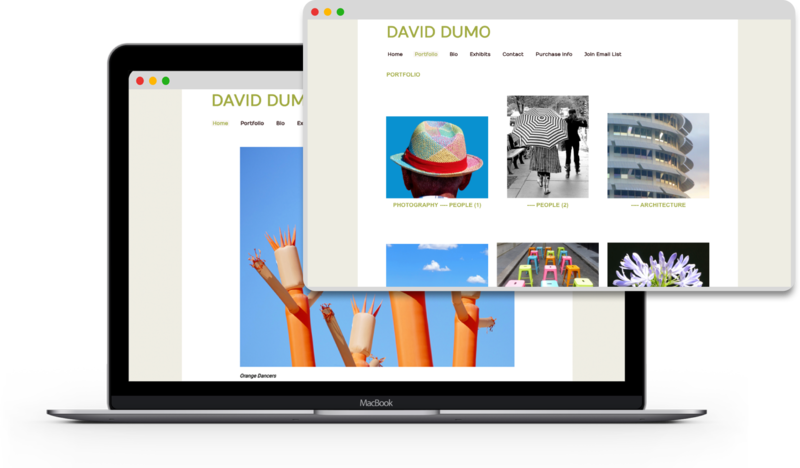 David Dumo chose a color scheme that complements his bold work. Award-winning artist Will Hübscher sells brilliant monotypes and curious assemblages through his site. 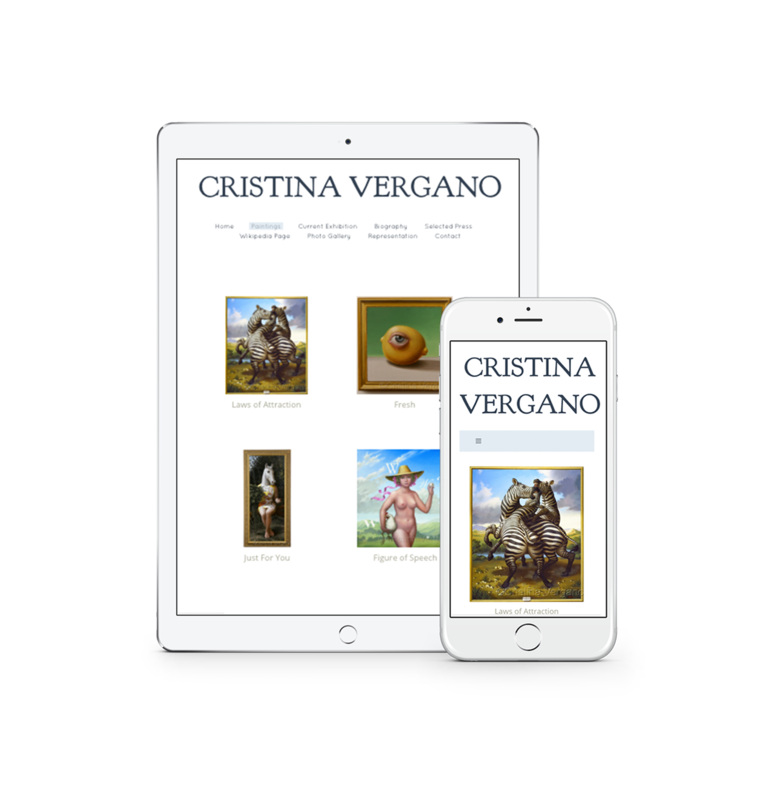 Internationally-Renowned artist Cristina Vergano took advantage of our Website Makeover program for help designing her site. 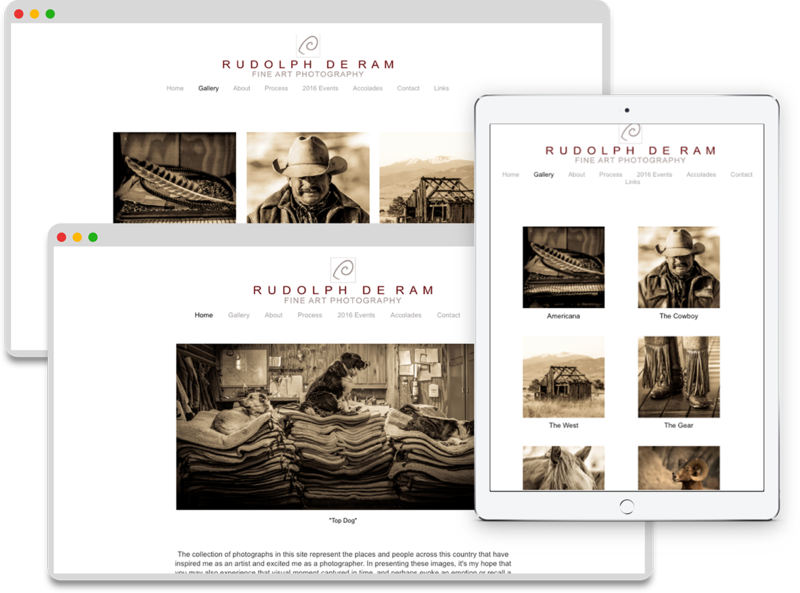 Rudolph De Ram utilizes our Prints-on-Demand program to market his gorgeous photography. Free Trial - Join us today!